NT7473 ROD. 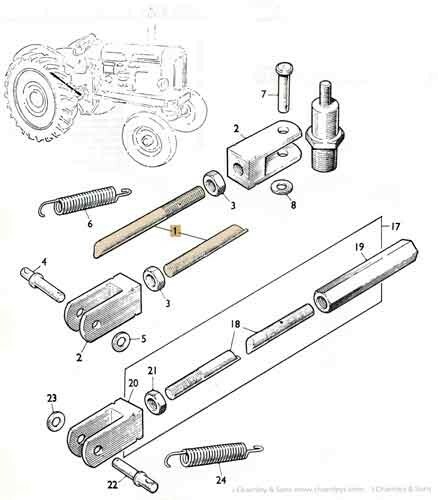 Nuffield brake rod for early Nuffields with 1-3/4" inch wide brake shoes. Dimensions: Thread 3/8" inch UNF. Length 12 1/2" inches (317.5 mm). 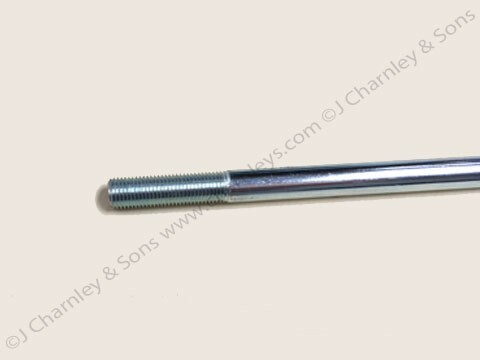 This brake rod connects the pedal shaft to the brake lever and is fitted to Nuffield Universals M3, M4, MV3, PM4, DM4 and Nuffield 4DM tractors up to serial number DE5936. See item 1 in the illustration.